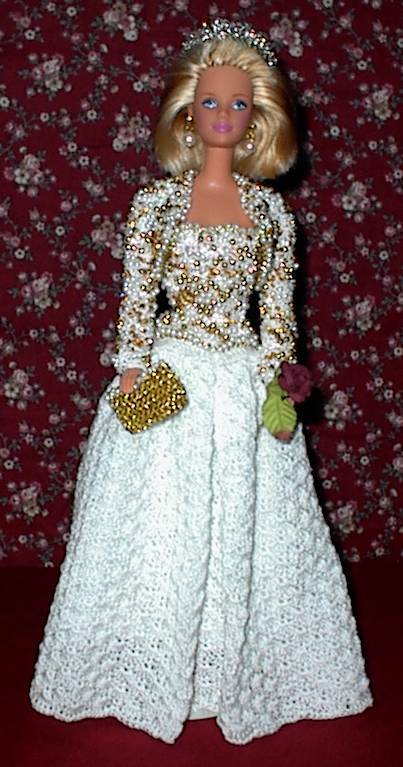 Comes with gown, bolero jacket, tiara, purse, doll and doll stand. 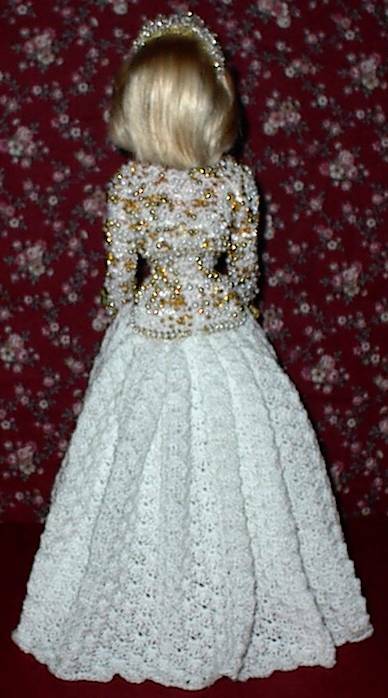 The bodice and jacket has 5 different beads on it. She carries a rose in one hand. 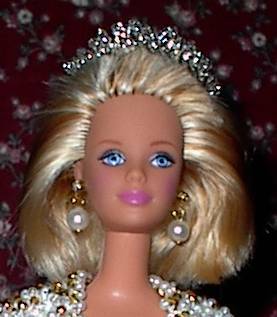 She has pearl earrings on.